This is one more post on Google Graph or Chart API, in which we will discuss one more Google Chart type. So Here we will discuss Google Line Chart and how to dynamic make Google Line Chart by using JSON data. 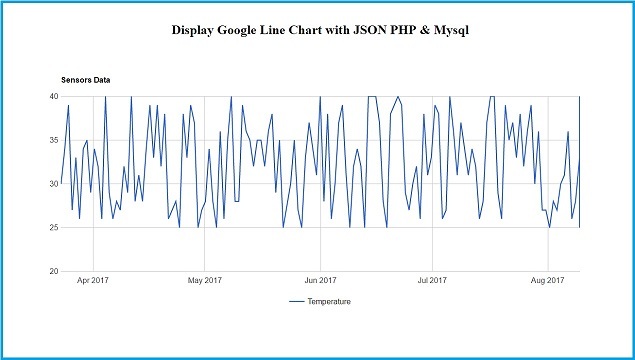 In this blog we will check how to create Google API Line Chart by using PHP Array and convert into JSON and data get from Mysql table. We will populating dynamic Data using PHP server side script and by uisng Google Line Chart API we will load that data and make simple dynamic Line Chart.